You know the words. And you could probably sing them better than me. But I’d be hard-pressed to think of a time when these words were sang as poignantly as when Georgia death row inmate Kelly Gissendaner sang them early last Wednesday morning, just moments before the pentobarbital took over her body and she breathed her last. T hat night, in the hours leading up to her death, I was glued to my Twitter feed—waiting, watching, praying, and hoping against hope. When the Supreme Court rejected her last request for a stay of execution, I was sad, angry, and bitter. And with #KellyOnMyMind, I read with fresh eyes this gospel text. And I couldn’t help but resonate with Jesus: “To what will I compare this generation?” Of course, the generation that Jesus was referring to had just rejected John the Baptist and was now actively rejecting him. They had rejected his message of the coming of the royal reign of God that was especially for tax collectors and sinners and outsiders. On Wednesday morning, that generation didn’t seem all that far removed from those who rejected Kelly, a death row inmate-turned-minister of the gospel, an outsider among outsiders. In our text Jesus is frustrated, and I felt that frustration. I once heard the death penalty described as “evil cloaked in respectability and law.” We call it “justice,” but we’re fooling no one. It’s the taking of life for life, rooted in an unquenchable desire for retribution. It rejects any possibility for reconciliation and restoration. Reconciliation. Restoration. Sound familiar? Words that could just as easily describe Jesus’s ministry. Jesus’s rejected ministry, that is. They just don’t get it—these wise and intelligent ones. But notice who does: infants. Ones without religious status, ones who shouldn’t know but somehow do, ones that get trampled on, ones whom the wise and intelligent resent. Ones like Kelly Gissendaner. But then there’s that beautiful paragraph at the end: “Come to me, all you that are weary and are carrying heavy burdens, and I will give you rest.” What are we to make of that after everything we just heard? A few years ago, I went through bout of depression. I had just graduated college with what had been plans to go to seminary, but I had also just come out. The denomination of which I was then a part doesn’t exactly support queer clergy, so those plans were shattered. I struggled with a loss of community and a lack of clarity about what I wanted to do with my life. It was also around that time that an Episcopalian friend introduced me to compline. This simple prayer service for the close of the day involves reciting these last verses from Matthew’s gospel. 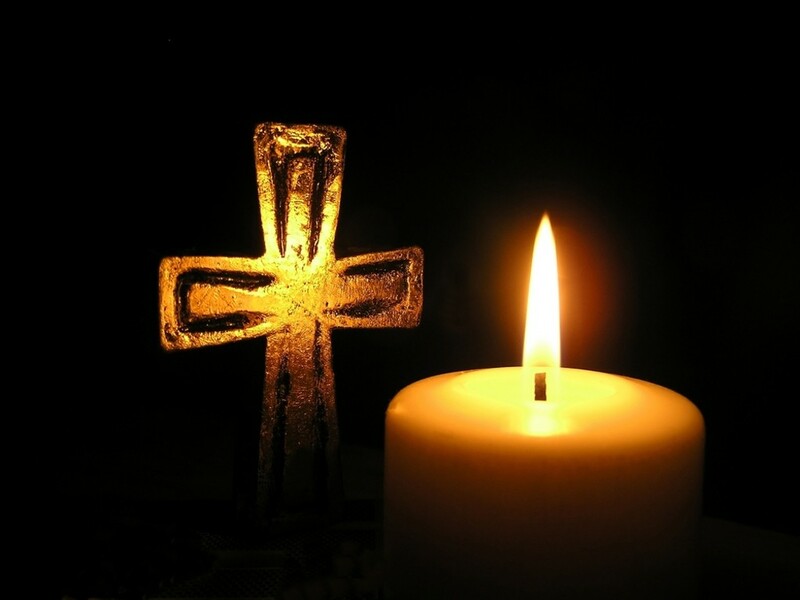 For me, compline has become a practice of laying down the burdens of the day and a powerful reminder of rest. It doesn’t solve all my problems, but it reminds me of God’s love and God’s ability to hold all my stuff when I cannot. We’ve all had our share of seemingly hopeless situations. Last Tuesday night, Kelly could’ve easily despaired or harbored resentment against her executioners, but in her final statement, she said, “Let my kids know I went out singing ‘Amazing Grace.’” Kelly sang “Amazing Grace” because she knew that the power of the state to take her life was no match for the power and the love of the God who had redeemed her life. There’s plenty to despair about in the world around us, my friends. There’s plenty to despair about when the state of Georgia takes the life of a woman who embodied the very definition of rehabilitation. There’s plenty to despair about when a news article from last Tuesday bears the headline, “The U.S. has six executions scheduled over the next nine days.” There’s plenty to despair about when yet another mass shooting leaves nine innocent people and their killer dead at a community college in Oregon. There’s plenty to despair about, and frankly I’m sick of it. But Jesus offers something different. Come to me, all you that are weary of state-sanctioned killings. Come to me, all you that are burdened with loss and uncertainty. Come to me, all you that are weary of mass shootings. Come to me, all you that are wretched, lost, and blind. Come to me, and I will give you rest. Come to me, and I will show you amazing grace. Come to me, Jesus says to each of us, and I will give you rest. Jesus doesn’t necessarily promise to make everything better, but he does promise respite in the thick of it. And that promise is ultimately found in the hope of the resurrection. And we can rest easy knowing that all has been conquered for us. Thanks be to God.